We have some interest in these positions but we would like anyone who wants to be considered to put their hands up officially at the AGM. Also we need all members to come along to vote! Also if you have anything else that you wish to add to the agenda please email us before the AGM so it can be discussed. If you walk from the carpark you go straight ahead and then left into the main part of the school (not into the Sportshalle where we normally train each week). Tuesday 13th of May from 7pm – 9pm (We don’t expect it should go this long but we have the classroom booked for this time slot). If you wish to join up to the coaching squad, this is a time to speak up. (Not for those already helping). •	Lead and oversee the work of the Committee. •	Coordinate strategic planning, lead objective setting and regularly review the Committee’s performance. •	Plan Committee meetings and set agendas, review actions and manage decision-making in coordination with Committee members and in line with Committee responsibilities as outlined in the Statutes and with established goals in the development plan. •	Chair Committee meetings and meetings of the General Assembly, aiming for responsible, efficient and effective decision-making and time management. •	Manage succession planning for the Committee identifying potential new members and key volunteers to support the sustainable development of the club. •	Ensure compliance with relevant legislation. •	Assist colleagues to plan, prepare and present budgets. •	Advise on financial implications of operational plans. •	Present revised financial forecasts based on actual spend and regularly inform the Committee of the Association’s financial position. •	Keep the Committee informed about its financial duties and responsibilities. •	Advise on the organisation’s fundraising strategy. •	Ensure use of funds complies with conditions set by funding bodies. •	Set up appropriate systems for book-keeping, payments, lodgements and petty cash. •	Ensure everyone handling money keeps proper records and documentation. •	Present accounts at the annual General Assembly. •	Organise meetings (Committee and General Assembly), including the coordination and circulation of documentation (agendas, papers) and logistics (booking venues, etc.). •	Minute meetings (Committee and General Assembly), circulate meeting notes in good time, and maintain an archive of Committee and General Assembly notes and related documentation. •	Coordinate hospitality and logistics assistance for Netball clubs/players visiting Zug. 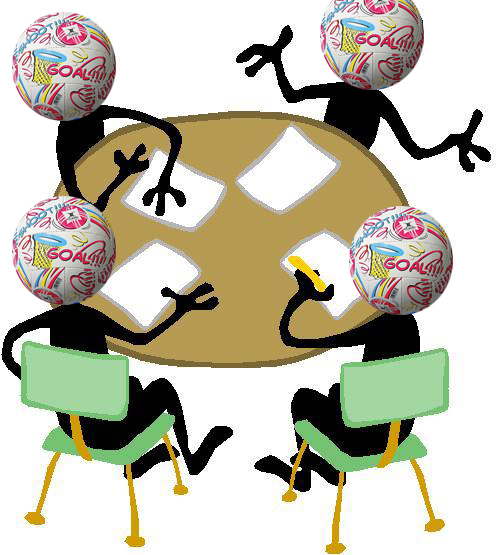 •	Report to the Netball Zug Committee on progress and prepare and present relevant items for decisions. •	Provide support, as necessary, for internal communications (Membership, Volunteers, and Committee) in coordination with other Committee leads. •	Coordinate the development of marketing tools for Netball Zug. •	Manage the Netball Zug website and Facebook page. •	Develop a team of content managers and oversee contributions. •	Manage the updating of Netball Zug news and information on the website and via other communications tools, with relevant volunteers.